Ridley Scott’s 1985 cult fantasy film LEGEND famously starred a young Tom Cruise, had two soundtracks and was represented by one of the most iconic looking horror bad-guys in the history of cinema, known as “Darkness”. 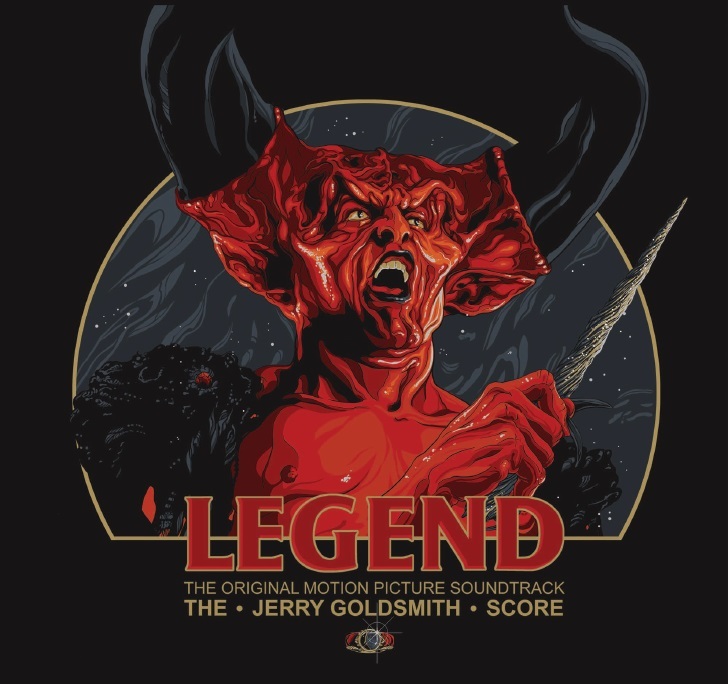 The original Jerry Goldsmith score was preferred by Scott and was used in the Director’s Cut (2002) including several songs: ‘My True Love’s Eyes’, ‘Living River’, ‘Bumps and Hollows’, ‘Sing the Wee’ and ‘Reunited’. 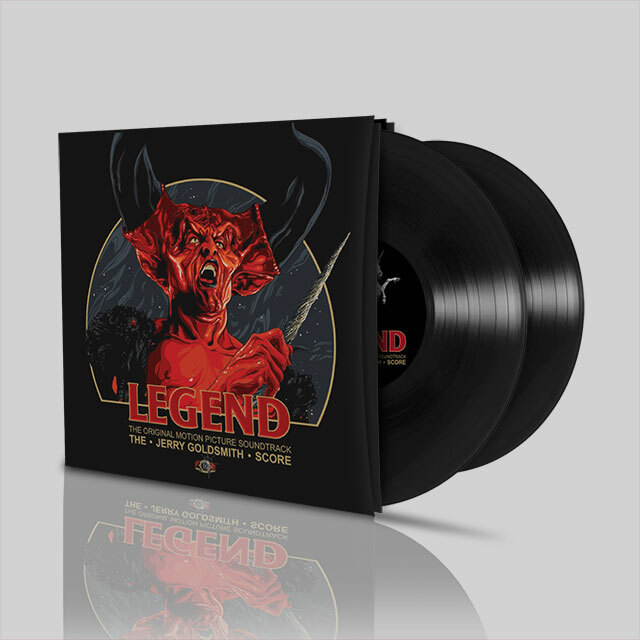 The extended version of the soundtrack makes its vinyl debut on this Special Edition release, using amazing original artwork by artist Vance Kelly, who has also designed a Limited Edition poster, released simultaneously and available from The Flood Gallery.